You won’t find it in the US, but I was curious: How could England possibly produce decent sparkling wines? For starters, they have the same vein of chalk subsoil as in Champagne. 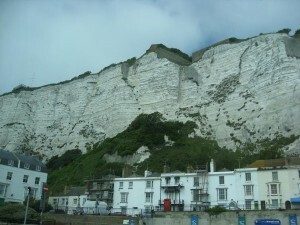 It runs across the English Channel and comes up as the famed White Cliffs of Dover. Clay and limestone are also apparent over the chalk subsoil, as in Champagne. But the English vineyards even further north than the borderline ripening vineyards of Champagne’s; they are around 140 miles north of the city of Epernay. While visiting several wineries in Surrey and Sussex, I found there are two major factions amongst the sparkling winemakers. One group plants traditional champagne grapes and produces their wines in a traditional French style. The other group is proud as can be of English Sparkling Wine, believes that an Englishman “invented the Champagne method” and wants nothing to do with French comparisons. Regardless of nomenclature, it is apparent that English bubblies are on the upswing. Most sell for $20 and up—not too pricey compared with Champagne, but quite startling when you consider that the British are used to supermarket wine specials as low as $5 a bottle. Remarkably, most of the top UK vineyards sell out their releases. “We simply cannot make enough wine!” was RidgeView staffer Oliver March’s lament. March says the winery will double in size by next summer, with production increasing from 100,000 bottles now to 450,000 in 2012. RidgeView plans to increase exports—they sell to Japan and Scandinavia, but hope to expand to Germany and more of Asia. RidgeView Wine Estate is on its second owners (Michael and Christine Roberts), the first having planted the original vineyards in the 1980s. The Robertses took over planting in 1994, with their first wine sales in 2000. Producing sparkling wine only, RidgeView sources grapes from16 acres of vineyards at the edge of the South Downs, plus partnerships with suppliers from 100 to 150 nearby acres. Their Chardonnay-based Bloomsbury, which is made from the traditional Champagne grapes and blended for consistency, sells out despite its £20 ($35-ish) price tag. 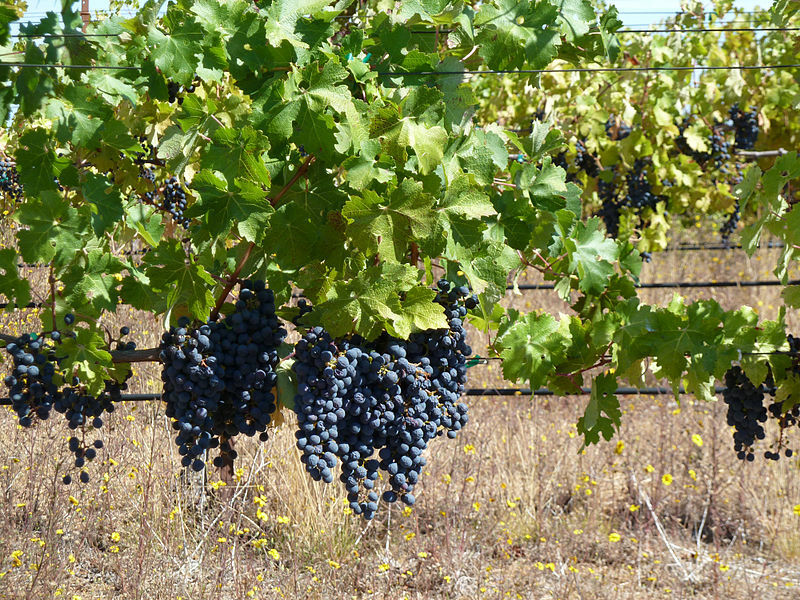 The 2006 vintage had a lot of fruit, as did the Pinot Noir-based Cavendish. RidgeView also makes a light salmon-pink rosé called Fitzrovia, two-thirds Chardonnay with red wine added. The 2006 Grosvenor, 100% Chardonnay, was pleasingly light, floral, citric and mineral. The 2006 is the second vintage of Knightsbridge (the first was 1999), a delightful blanc de noirs: fruity and sweetly floral with a mineral finish. RidgeView vinifies in separate lots before assemblage. The grapes are grown slightly higher off the ground than on the Continent, which makes it easier to spray them for mildew and to prune and hand-harvest. Yet RidgeView prides itself on its wines’ similarity to Champagne. The vines were brought from Epernay; the grapes are handpicked; and only the traditional Champagne grapes are grown here. They would like all of the finest English sparklers to adopt the Merret name as an indicator of quality. There’s precedent in Spain’s Cava and German and Austrian Sekt. Cavas aren’t made with Champagne grape varieties, but they are from delimited areas with quality-controlled production.Denbies Wine Estate, which bills itself as “England’s largest vineyard,” was established in Surrey more than 20 years ago. 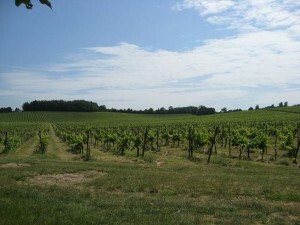 There are cellar and vineyard tours, a farm shop and a full-service restaurant in addition to a bed-and-breakfast. All their sparkling wines are estate-grown. Denbies’ first vineyards were planted in 1986. They have produced both still and sparkling wine since 1989, but the big expansion in sparkling wine production is very recent. Denbies draws 300,000 visitors a year and plans to expand its tour options. All Denbies’ sparkling wines are vintage-dated, and their preferred term is not Merret but cuvée. Starting around £15, the 2004 Whitedowns Classic Cuvée was very light with a hint of gingery spice, made with Seyval Blanc. The Greenfields Cuvée (2004), had more fruit on the nose, with a long acidic finish and a hint of unripe berries. The 2002 vintage is just finishing at the winery; it had a yeast-toast nose, some toast in the flavor and finished sharply dry. The 2006 Sparkling Rosé cuvee was light salmon-red, with more jammy, berry fruit aromas and a sweeter flavor, and some underlying acidity for structure. 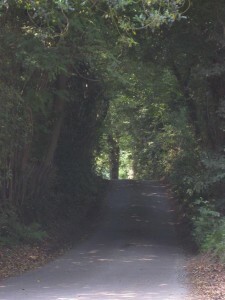 A short jaunt through the green country lanes takes you to one of England’s oldest wineries, Bolney Wine Estate, formerly known as Bookers Vineyard, where vineyards were planted in 1972. The owners bought 40 contiguous acres in 2000 and now have 39 planted to vines. About half are for red wine, 30% for sparkling and 20% for white wine. This is an edgy latitude for grape growing, 51ºN, and harvests vary greatly, dependant on the weather. The weather also gives them low per-acre yields, which tends to be a positive indicator for wine quality. They use the traditional Champagne grapes along with varieties like Muller-Thurgau, which appears with Chardonnay in their Bolney Bubbly; the 2006 is floral and sweet, and nearly clear in color. Sirius (2005), a rosé, contains Seyval Blanc and some Merlot for color. It is somewhat sweet with a tinge of unripe fruit character. The 2005 Blanc de Blanc is a pale yellow-green sparkling Chardonnay, with hints of tropical fruit and grapefruit, and a citric mineral finish. All their wines are vintage-dated, made with hand-harvested grapes; they make 3,000 to 4,000 bottles of each. Bolney’s wines are also carried at several English supermarket chains, at prices ranging from about £15 to £24. Private groups can reserve in advance, and can specify either a vineyard or a wine-making emphasis for their tour. At Bolney, they are decidedly proud of their Englishness, and in future would support using the term “Merret” for their sparkling wine if this becomes an issue. Nyetimber is top of the heap; their wines have been winning acclaim since the 1990s. They make only sparkling wine. Modern vineyards here were planted in the late 1980s, and Nyetimber is considered to have pioneered the sparkling wine business in England. Owner Eric Hereema, who took over in 2006, has expanded the vineyards from the original 34 acres to a total of 350 as of June. He has taken production to 300,000 bottles in 2009, and wants to increase this to 800,000 in the next seven or eight years. Of all the wines I tasted, Nyetimber’s were the most similar to Champagne’s, and deliberately so. “Champagne is a benchmark,” Hereema says. They use the traditional grapes and age on the lees longer than other British sparklers. Despite this, they would not be averse to the term “Merret” for English sparkling wine as long as it was a quality and geographical appellation. At Nyetimber they hand-harvest and gently whole-bunch press, extracting very small amounts, winemaker Cherie Spriggs says. The wines range from around £19 to over £27. Nyetimber’s current vintage is the 2003 for their Classic Cuvée. Chardonnay-based, it’s crisp, with an emphasis on appley fruit. The Blanc de Blancs (2001), late disgorged, was still tight in July 2009. It was showing vanilla and green fruit peel. In the future, Nyetimber may produce the blanc de blancs only during years when the Chardonnay is truly great. I look forward to tasting other English sparkling wines and find further encouragement in the news of expansion. I heard about vineyards owned by a large British supermarket chain that plans to make its own bubbly. And—in perhaps the most telling stamp of approval—more than one French Champagne house now has vineyards and production plans for their own English sparkling wine. — For the past 20 years Becky Sue Epstein has been providing food, wine and spirits coverage for local, regional and national publications on both the East and West Coasts, from Art & Antiques and Luxury Golf & Travel to Food + Wine and Wine Spectator. She began her career as a restaurant reviewer for the Los Angeles Times while working in film and television during the 1980s and early 1990s. In between trips, tastings and events, Epstein writes books. Her latest, The American Lighthouse Cookbook, will be published in September 2009 (Sourcebooks/Cumberland, co-written with Chef Ed Jackson.) 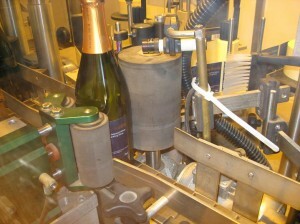 She is currently working on Sparkling Wine: A Global History (Reaktion, pub. date tbd). Nice article. One thiong though – the Roberts are the only owners of RidgeView and they didnt start planting until 1995.